A motif has popped up in my writing lately--comparing game cultures of different countries. So I've decided to begin a recurring mini-feature on the site: Global Gaming Spotlight. I'll highlight a game from a different country in each article. It won't necessarily be the best or the most popular game from a given country; it'll simply be the one I find most representative of that nation, or the first one that comes to mind when I think of that country. I firmly believe the game design landscape must expand beyond simply the United States and Japan, so I'll use short blog posts to highlight games from countries you wouldn't quite expect--or games you already know, but didn't realize was made in Bulgaria or Brazil. Without further ado, I begin the Global Gaming Spotlight in my home country: the United States. The list will get more interesting when I get to more obscure countries, but I can't forget the game development giants. Of course, there are thousands of American games to choose from. 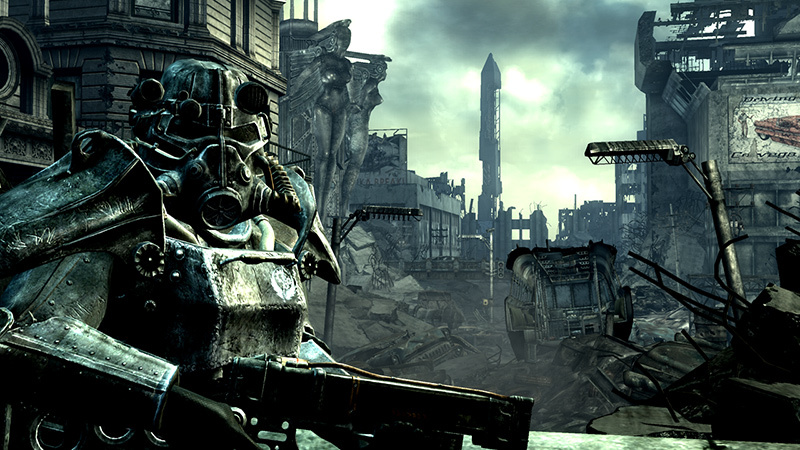 I thought about choosing an über-AMERICA game like Duke Nukem or Madden to represent the good ol' U.S. of A, but in my heart I knew I had to pick Fallout 3. The 2008 open-world masterpiece is set in the nation's capital and my hometown of Washington, D.C. It was designed by Bethesda Game Studios, founded in nearby Bethesda, Maryland, and headquartered in Rockville. And of course, this website gets its name from Fallout 3's post-apocalyptic wasteland. Fun fact: a big part of navigating D.C. in the game is traversing the ruined subway system. 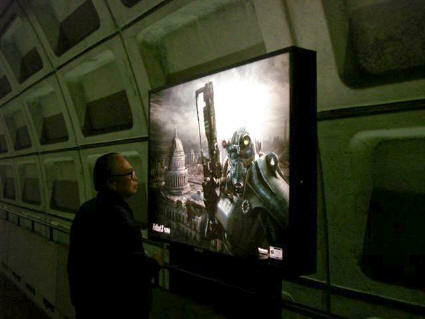 So leading up to Fallout 3's release, big ads for the game were posted in multiple Metro stations around real-world Washington. This caused a controversy, though, as some riders found it distressing to see pictures of their home city demolished on their commute to work. Fallout is a commentary on very American themes. It's set in a Jetsons-style 1960s vision of the future, which has then been destroyed by nuclear holocaust. The fears of communist China don't seem to matter anymore when everything is blown up. But the few remaining survivors in the Capital Wasteland must reconcile their lingering values of American exceptionalism and individualism to live together in what's left of the country. After the world's governments are no more and the veneer of the nation-state is removed, how do we form a communal identity?